Congratulations to Chen He for being awarded the best poster prize at the conference Essential Cosmology for the Next Generations 2016. The poster presented work done with Wayne Hu and Daniel Grin on "Compensated Isocurvature Perturbations (CIP) in the Curvaton Model". The authors proposed to correlate CIPs with cosmic microwave background (CMB) anisotropies, and showed that with this technique, CMB-Stage 4 - a next-generation CMB experiment - would distinguish between curvaton decay scenarios by probing the largest CIP attainable in the curvaton model. Chen He's work focuses on understanding fundamental physics in the early universe through cosmological observations of the cosmic microwave background. Douglas Applegate received his Ph.D. from Stanford University and is currently at the University of Bonn, Germany. His research focuses on using weak gravitational lensing measurements of galaxy clusters to test cosmological models. At KICP, Douglas plans to continue his work with the South Pole Telescope and LSST Dark Energy Science collaborations. 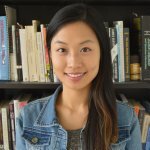 Chihway Chang received her PhD at Stanford University where she studied the potential systematic effects in weak lensing measurements for the Large Synoptics Survey Telescope (LSST). She then ventured to Switzerland as a postdoc at ETH Zurich and worked on weak lensing data from the Dark Energy Survey (DES). At KICP, Chihway is interested in extending her current work and exploring the power of combining CMB data from SPT with DES. Christopher Tunnell is involved in the XENON1T as the analysis coordinator and will be collaborating with Luca Grandi at KICP. Before coming to KICP, he was a postdoctoral researcher at the Dutch particle-physics laboratory Nikhef where he researched light Dark Matter. He completed his doctorate at the University of Oxford on sterile-neutrino physics. KICP and LIGO collaboration members Daniel Holz, Ben Farr, Hsin-Yu Chen, and Zoheyr Doctor shared the excitement of the discovery of Gravitational Waves with the rest of the KICP and Physical Sciences Division at a live stream event of the discovery press conference on February 11. The crowd overflowed the ERC auditorium as students, faculty, and staff all clamored to hear the historic announcement. Upon hearing the phrase "Ladies and Gentlemen, we have detected gravitational waves, we did it!" the room broke into spontaneous applause. Following the press conference, Holz answered questions from the audience. Later that day, he expanded upon the announcement at an overflow Physics Colloquium. This spring, graduate students, postdocs, and Professors from KICP and the Department of Astronomy & Astrophysics will present at least 19 lectures to older adults throughout Chicago, as part of the Life Long Learning program associated with Daniel Grin's NSF Astronomy and Astrophysics Postdoctoral Fellowship. Adults past retirement age make up an increasingly large demographic, and continued cognitive/social engagement are crucial for healthy aging. We'll bring basic and cutting-edge content in astrophysics to interested older adults at city senior centers, retirement homes, and public libraries. We are always looking for more presenters to reach wider audiences. 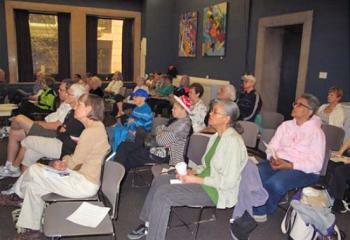 To conclude this year's program, we will bring hundreds of older adults to the Adler Planetarium in June free of charge. Please join me in congratulating Josh Frieman on his election to the American Academy of Arts and Sciences. Membership in this oldest of US academies is a high honor and one well deserved by our friend and colleague Josh Frieman. 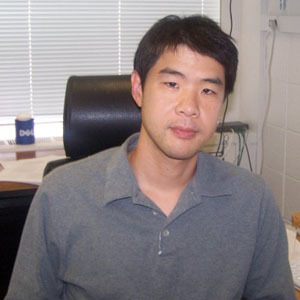 Wayne Hu is a senior member of the KICP and the Horace B. Horton Professor in the Department of Astronomy & Astrophysics, Enrico Fermi Institute, and the College. His research focuses on the theory and phenomenology of structure formation in the Universe as revealed in Cosmic Microwave Background anisotropies, gravitational lensing, galaxy clustering and galaxy clusters. 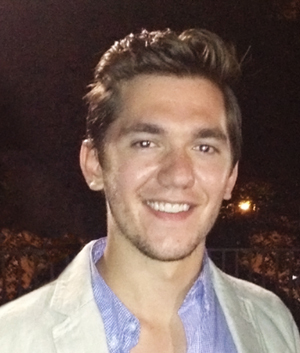 KICP Fellow Dan Scolnic recently competed in the Finals of Famelab in Washington DC. Dan competed against 9 other winners of regional finals. Dan spoke on “The Expanding Universe and why he isn’t a professional basketball player.” His presentation covered the current mismatch in cosmological parameters derived from measurements of the CMB vs. those derived from measurements of distant Type Ia supernovae and what that tension might mean for the standard model of cosmology. FameLab USA is a NASA-sponsored, science-based take on American Idol, aimed at fostering an open community for science communication and development. 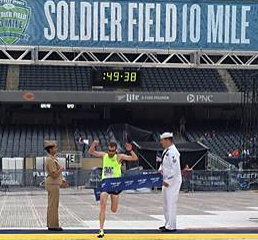 Former KICP Fellow Keith Bechtol wins Saturday's Soldier Field 10 Mile Race (time - 49 min 38 sec). Congratulations to Prof. Angela V. Olinto! Angela V. Olinto named a Homer J. Livingston Distinguished Service Professor effective July 1, 2016. NEW YORK, June 2, 2016 - Nine pioneering scientists from Germany, Switzerland, the UK and the USA have been named this year's recipients of the Kavli Prizes - prizes that recognize scientists for their seminal advances in astrophysics, nanoscience and neuroscience. This year's laureates were selected for the direct detection of gravitational waves, the invention and realization of atomic force microscopy, and for the discovery of mechanisms that allow experience and neural activity to remodel brain function. The Kavli Prize is awarded by The Norwegian Academy of Science and Letters and consists of a cash award of 1 million US dollars in each field. The laureates receive in addition a gold medal and a scroll. Today’s announcement was made by Ole M. Sejersted, President of the Norwegian Academy of Science and Letters, and transmitted live to New York as part of a World Science Festival event where France Cordova, Director of the National Science Foundation, delivered the keynote address. The Kavli Prize in Astrophysics is shared between Ronald W.P. Drever and Kip S. Thorne, both from the California Institute of Technology, USA, and Rainer Weiss of the Massachusetts Institute of Technology, USA. They receive the prize "for the direct detection of gravitational waves". The Kavli Prize in Nanoscience is shared between Gerd Binnig, Former Member of IBM Zurich Research Laboratory, Switzerland, Christoph Gerber, University of Basel, Switzerland, and Calvin Quate, Stanford University, USA. They receive the prize "for the invention and realization of atomic force microscopy, a breakthrough in measurement technology and nanosculpting that continues to have a transformative impact on nanoscience and technology". The Kavli Prize in Neuroscience is shared between Eve Marder, Brandeis University, USA, Michael Merzenich, University of California San Francisco, USA, and Carla Shatz, Stanford University, USA. They receive the prize "for the discovery of mechanisms that allow experience and neural activity to remodel brain function". Over the past 40 years, however, the three Kavli neuroscience prize-winners have challenged these assumptions and provided a convincing view of a far more flexible adult brain than previously thought possible - one that is 'plastic', or capable of remodelling. Working in different model systems, each researcher has focused on how experience can alter both the architecture and functioning of nerve circuits throughout life, given the right stimulus and context. They have provided a physical and biochemical understanding of the idea of 'use it, or lose it'. The 2016 Kavli Prizes will be awarded in Oslo, Norway, on 6 September. His Royal Highness Crown Prince Haakon will present the prizes to the laureates. This year's ceremony will be hosted by Alan Alda and Lena Kristin Ellingsen. Prime Minister Erna Solberg will host a banquet at Oslo City Hall in honour of the laureates. Congratulations to Dr. Brittany Kamai! Congratulations to Brittany Kamai for successfully defending her Ph.D. dissertation on "Hunting for MHz Gravitational Waves with the Fermilab Holometer". "Brittany's thesis uses the Holometer data for a unique measurement of gravitational waves in the Megahertz frequency band. 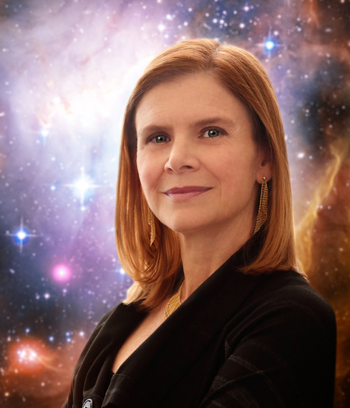 Her analysis sets limits on possible exotic sources of gravitational waves, such as black holes in binaries of very small mass -- radiating at frequencies ten thousand time higher than those recently measured by LIGO." Brittany has received a position of LIGO Instrumentation Postdoctoral Fellow at the California Institute of Technology. Congratulations to Dr. Jonathan Richardson! Congratulations to Jonathan Richardson for successfully defending his Ph.D. dissertation on "Experimental Constraints on the Exotic Shearing of Space-Time". "Jon's thesis represents an important milestone. He's done much of the critical work to make the Holometer experiment a reality. It's the most sensitive instrument ever built to study tiny random jitters of space. In his thesis, he shows that the scale of random shear jitter is more than an order of magnitude less than the Planck length, which was the theoretical expectation. The experiment essentially rules out this effect. He's working with our team now to reconfigure the machine to study the other possibility, a jitter of rotational motion, at similar sensitivity. 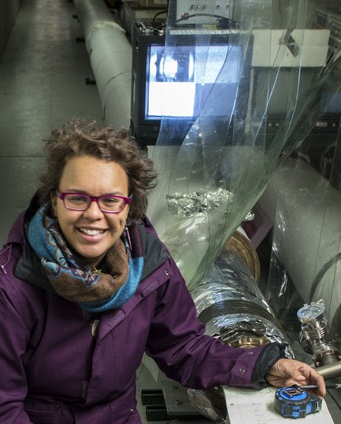 There is some hope that this effect in the laboratory may connect with the cosmic dark energy problem." 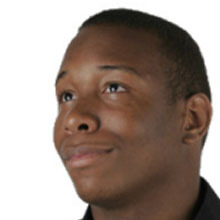 Jonathan has received a Research Fellow position at the University of Michigan. Congratulations to Dr. Asher Berlin! Congratulations to Asher Berlin for successfully defending his Ph.D. dissertation on "Phenomenology of Particle Dark Matter". "Asher's work has covered a broad range of topics related to dark matter and efforts to reveal its particle nature. He has worked on theory calculations relevant to underground and space-based dark matter searches and to searches for dark matter at the Large Hadron Collider. More recently, he has worked on non-standard ways in which dark matter may be have created in the early universe." 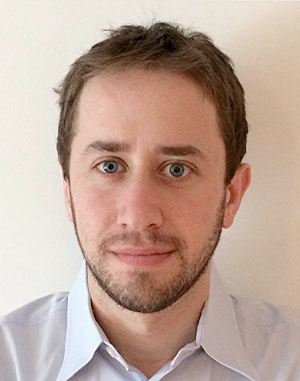 Asher has received a Post Doctoral Fellow position at SLAC. Congratulations to Dr. Sean Johnson! Congratulations to Sean Johnson for successfully defending his Ph.D. dissertation on "Studies of the relationship between galaxies and the inter/circum-galactic medium". "Sean's thesis work casts new light on the intricate physical processes that drive the baryon cycles between star-forming regions and the intergalactic space. He led an ambitious survey of the galactic environments around chemically-enriched gas revealed in strong absorption against a background source. Sean's thesis sample represents the first of its kind in terms of both the scale and depth of galaxy survey data in quasar fields. It provides a pathfinder for future large-scale studies that will combine wide-field galaxy surveys with absorption spectroscopy to advance our understanding of chemical enrichment in low-density regions away from galaxies." Sean will be starting as a Carnegie-Princeton/Hubble fellow at Princeton in the fall. Instructors: Camille Avestruz, Zoheyr Doctor, Gourav Khullar, Richard G. Kron, Randall H. Landsberg, James Lasker, Phil Mansfield, Sam Passaglia, Rebecca Pierce, Jason Poh. The 2016 Yerkes Summer Institute (YSI) was filled with secrecy, deception, and espionage. At YSI, high school students in the Space Explorers program played the role of 20th-Century spies to handle secret information: revealing, concealing and distorting information. 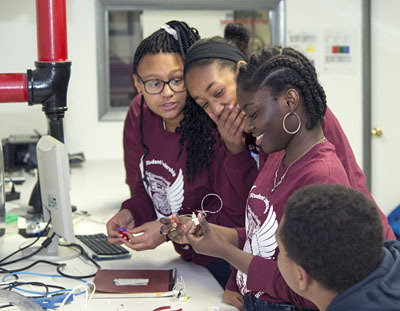 Through three day-long lab activities, the students explored connections between spying and science. In the "Secret Photos" lab, they studied angular size, resolution, and the film-development process in order to effectively gather information on "enemy operatives" using 35 mm cameras. In the "Radio Beams" lab, students designed, built, and tested a system to transmit audio via an amplitude-modulated (AM) laser, which allowed them to secretly communicate across long distances. Lastly, techniques to securely communicate were examined in the "Codes and Ciphers" lab, which also served as an introduction to modern cryptography. After cycling through these three day labs, the students broke into three new groups and took one of the labs a step further: one group doctored photographs to spread false information, another built AM radio transmitters and receivers, and the last created treasure hunts using codes and ciphers for the clues. Nighttime activities included: observations with the Yerkes telescopes, astrophotography, explorations of the constellations which focused on what current research can tell us about them (e.g. most know exoplanets were found by Kepler in the constellation Cygnus); and bad weather activities that included examinations of the veracity of viral internet photos, and stories of famous spies. The week's spy-themed activities not only introduced the students to the importance of privacy in the digital age, but also to the concepts and skills that are integral to any modern STEM career. 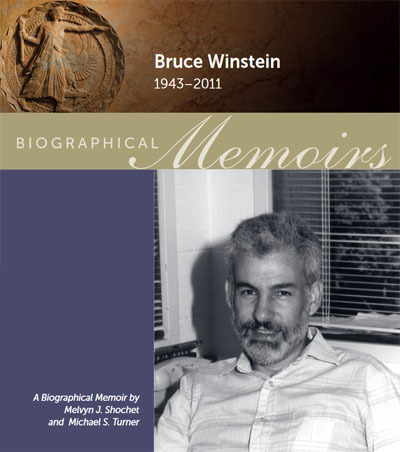 KICP founding Director Bruce Winstein's biographical memoir, authored by UChicago Professor Mel Sochet and KICP Director Michael Turner, is now available online on the National Academy of Sciences website. 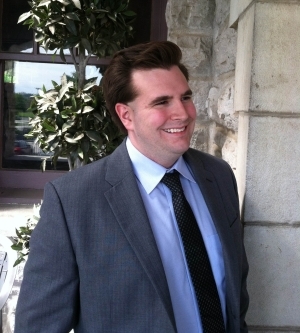 Congratulations to Matthew Richardson, KICP Fisk-Vanderbilt Bridge Program participant! Congratulations to Matthew Richardson for successfully defending his Ph.D. dissertation on "Constraining Microwave Emission from Extensive Air Showers via the MIDAS Experiment". "Through a careful analysis of data collected by the MIDAS detector installed at the Pierre Auger Observatory, Matt has established the best limits on microwave emission from Extensive Air Showers induced in the atmosphere by Ultra-High Energy Cosmic Rays (UHECR). His results, an improvement by more than one order of magnitude over previously published limits, place strong constraints on the prospects of this technique for UHECR detection." 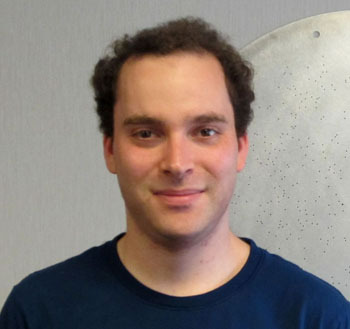 Matt has received a position of Postdoctoral Research Scientist at the Planetary Science Institute. 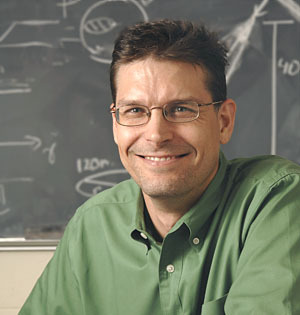 Professor Scott Wakely, a high-energy astrophysicist, has been named Director of the Enrico Fermi Institute and was recently promoted to Full Professor. 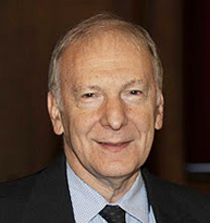 Congratulations to the KICP's Robert Wald for being awarded the 2017 Einstein Prize from the American Physical Society. The prize recognizes outstanding accomplishments in the field of gravitational physics. 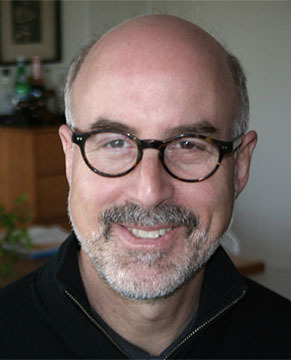 Professor Wald's award citation reads: "For fundamental contributions to classical and semiclassical gravity studies, in particular, the discovery of the general formula for black hole entropy, and for developing a rigorous formulation of quantum field theory in curved spacetime." The SPT-3G camera is on its way to the South Pole! 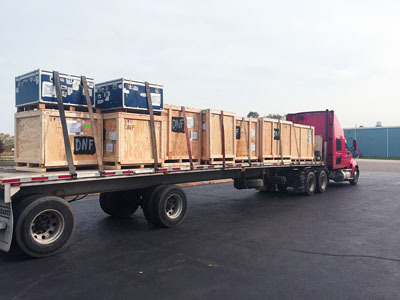 SPT-3G shipped from Fermilab on Friday October 28 and is expected to arrive at the South Pole on November 12, 2016. In February 2017, SPT-3G will begin a 4-year survey to make new, sensitive measurements of the cosmic microwave background (CMB). You can read more about the SPT-3G camera at "SPT-3G: A Next-Generation Cosmic Microwave Background Polarization Experiment on the South Pole Telescope". Chicago high school students visit to experience "A day in the life of a scientist"
Professor Freedman talks about life as a scientist with the students. KICP Senior Member Wendy Freedman has been invited to be the 2016-2017 Robert A. Pritzker Visiting Scientist in Residence at Chicago's Francis W. Parker School. 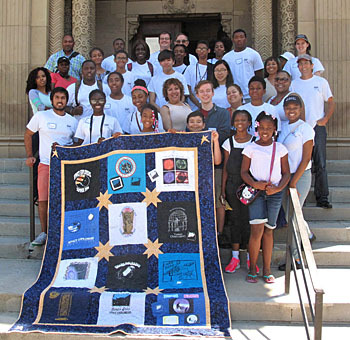 The program aims to expand science education opportunities at Parker and foster an ongoing dialogue among students and teachers about current issues in science. As part of her activities, Professor Freedman recently arranged for students to visit the Eckhardt Research Center for a discussion and tour of the KICP and Astronomy & Astrophysics labs and the Pritzker Nanofabrication Facility. Students visited the PNF and the KICP labs of Professor Erik Shirokoff (where Associate Fellow Peter Barry described the lab equipment and activities), and gathered in Professor Stephan Meyer's lab to see a camera that will be used in a balloon-borne experiment to detect cosmic ray showers. Professors Meyer and Freedman also spoke to students about various aspects of their research and their lives as scientists. Professor Meyer explains Extensive Air Showers to the visiting students. Stephan Meyer showing the visitors around his lab. Associate Fellow Peter Barry explaining a piece of apparatus in the Shirokoff lab. Due to favorable winds and good weather, the Long Duration Balloon season has begun early in Antarctica this year. The fourth flight of the ANITA experiment launched on December 3rd near McMurdo Station. The payload is the most sensitive instrument ever to search for the highest energy neutrinos (~10^19 eV), and consists of 96 dual-polarization horn antennas that look for impulsive radio emission from these neutrinos interacting in the Antarctic ice sheet. A new trigger design makes this instrument a significant improvement over previous payloads, and we are keeping our fingers crossed that an early launch means we could have a long flight! KICP members working on the project include Abby Vieregg, postdoctoral researchers Cosmin Deaconu and Eric Oberla, and graduate student Andrew Ludwig. 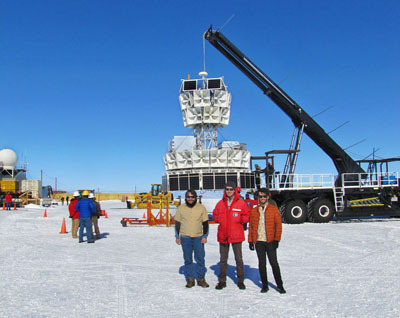 Cosmin, Eric, and Andrew are in Antarctica for the integration, testing, launch, and flight. 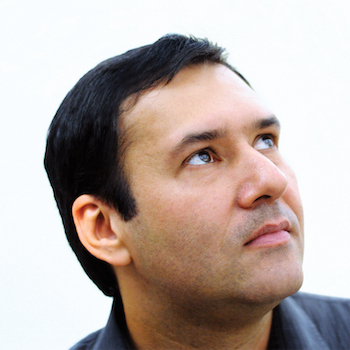 Congratulations to KICP Member, and Adler Planetarium Astronomer, Mark SubbaRao, who will become the President-Elect of the International Planetarium Society on January 1, 2017. Mark SubbaRao won the recent International Planetarium Society (IPS) election and will assume the role of President-Elect of this prestigious society at the beginning of 2017. In two year's time he will become the President of the IPS for a two year term. In his candidate's statement, Mark said "I am running for IPS President to help shape the future of the planetarium, this wonderful medium which can inspire the public like nothing else. ... If elected, I will focus on building a more active organization and expanding professional development opportunities. We will support research that demonstrates how effective the planetarium is." Read the entire statement at the International Planetarium Society website. Naa will join the UChicago Class of 2021 with a full four-year scholarship as a pre-med/psychology major. She has been a participant in the KICP Space Explorers Program for the past three years. QuestBridge is a nonprofit program designed to assist high-achieving, academically motivated students from low-income backgrounds apply to top colleges around the nation. The program features the National College Match, in which students rank and apply to up to eight of QuestBridge's partner colleges. Students who are matched receive a generous four-year, no-loan scholarship.